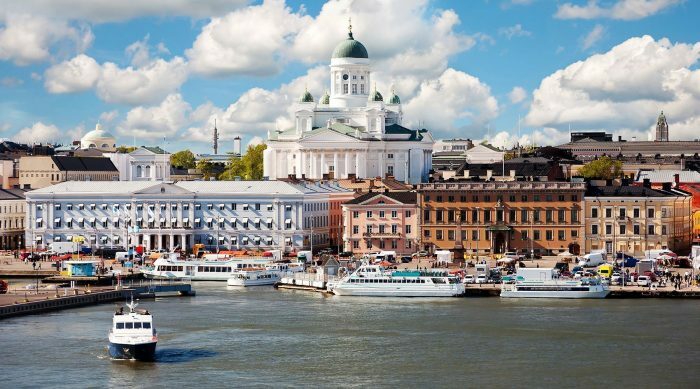 Helsinki, Finland is a vibrant and future-oriented capital city by the Baltic Sea. As located between the East and West, the city has absorbed influences from both sides, and is combining them in its own special way. 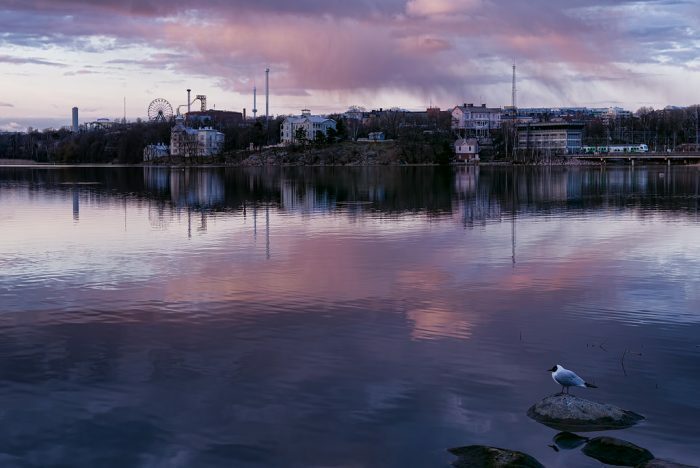 Yet first and foremost, it is a quite typical Scandinavian city, with similarities to Oslo, Stockholm and Copenhagen. Geographically the city is compact, having 1.4 million people living in the metropolitan area. The best running routes, characterized by scenic waterfronts and parks, are located within a few mile radius from the downtown area. Running has the long heritage in Finland as “Flying Finns”, such as Paavo Nurmi, Hannes Kolehmainen and Lasse Viren won dozens of Olympic medals in middle- and long distance running between 1910–1950 and 1970–1980. The fame has slowly faded away, but you can still embrace that golden era in today’s Helsinki by running to the historic Olympic Stadium and hailing the statue of Paavo Nurmi. Helsinki has an excellent transportation system consisting of trams, trains, and buses. A metro currently goes to the eastern suburbs but is being expanded to the western suburbs. 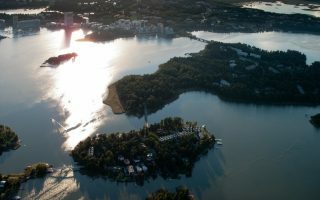 Töölönlahti Bay, located north of the city centre, features one of the most scenic running paths of Helsinki. We’ve created a great 5.3 mile loop. 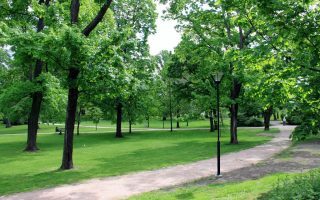 This route features waterfront, parks and some of Helsinki’s main sights. Cathedrals, palaces, an island, and parks — all in in this 6-mile tour! This route offers breathtaking views along the waterfront, and includes Meilahdenpuisto park, and Lehtisaari & Kaskisaari islands. 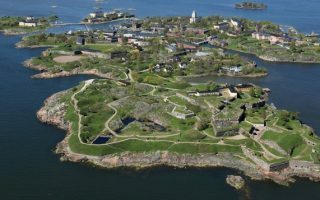 An inhabited fortress built on six islands, accessible only by ferry. Enjoy the 3-mile tour of this UNESCO World Heritage Site. Helsinki has a humid continental climate and usually the best time to visit is spring or summer. The average maximum temperature from June to August is around 66 to 72 °F. In wither months, prepare to run on some snow and ice, and bring also warm clothing. Winter is cold and dark. Snowfall can occur from October to March. 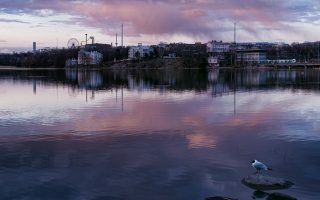 Because of the latitude, Helsinki has extremes of daylight; shortest daylight in December lasts only under 6 hours and conversely, running at 11pm in the summer months is a special treat! Sokos Hotel. The biggest hotel chain in Finland. Several locations in downtown. Omena Hotel. Two central locations in Helsinki. Known for cheap rates and self-service. There is no reception desk or receptionists in the hotels — rooms are booked and paid for on the internet. 4Runners. The only specialized running store in Helsinki. This 20+ year old store is currently located in Kluuvi shopping mall in the heart of the city. Intersport Puhos. Not just another Intersport. Highly skilled sales staff helps you to find the right shoes and gear from the wide selection. Located east from the city next to Itakeskus shopping mall. XXL. Price-driven big box retailer which has disrupted Scandinavian sporting goods retailers recently. Locations in Kluuvi and Itakeskus shopping malls, as well as in Tammisto quite near to the airport. Helsinki Running Tours offers running events to tourists, tourist groups and companies. 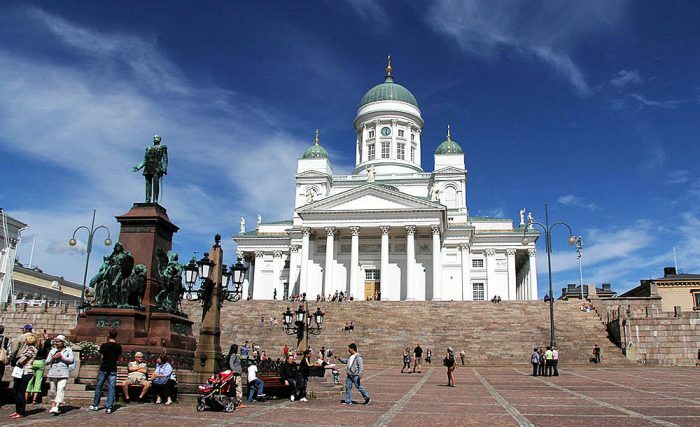 Their routes pass lots of main attractions and sights in Helsinki. Helsinki Running Crew. Running community arranging group runs. Free to join, operates mainly through their Facebook group. Helsinki City Run is an annual half marathon that takes place every May as a road running event around the streets and parks of Helsinki. Helsinki City Marathon is the main marathon event in Helsinki. It was established in 1980 and is held annually, usually in August. Midnight Run. 10k annual run taking place in the end of August or beginning of September. Course passes through the heart of Helsinki after the sunset, start time being after 9pm. Helsinki City Trail. Trail running event featuring 12k and half marathon. Held first time in October 2015. Extreme Run. Wear your funny hat and prepare to face some obstacles in this not-too-serious race taking place in Vantaa, near Helsinki, every May since 2010.